Please find more information by clicking here! Our new Coventry choir, Canley Can Sing, started off with a bang! 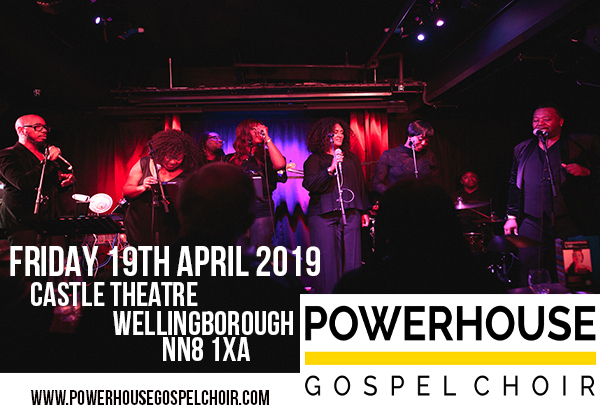 This community choir is not to be missed. If you know anybody in Coventry then please let them know! 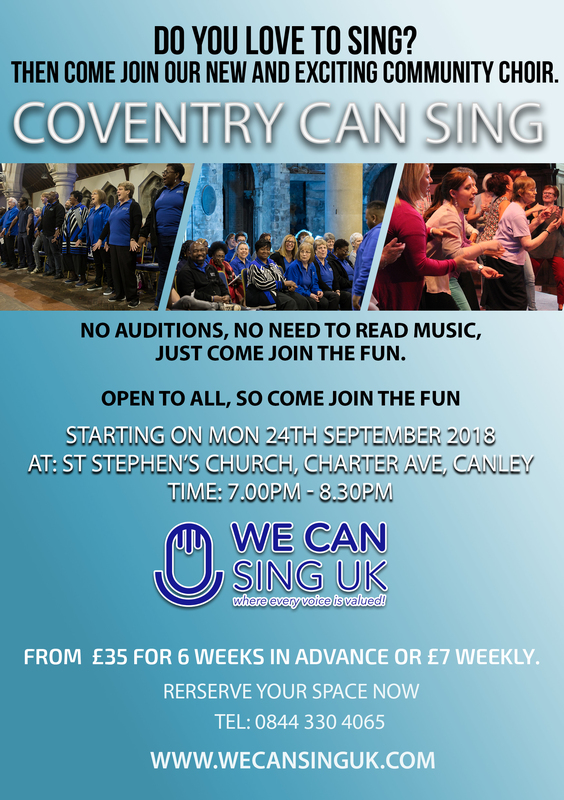 Coventry Can Sing Is Here! 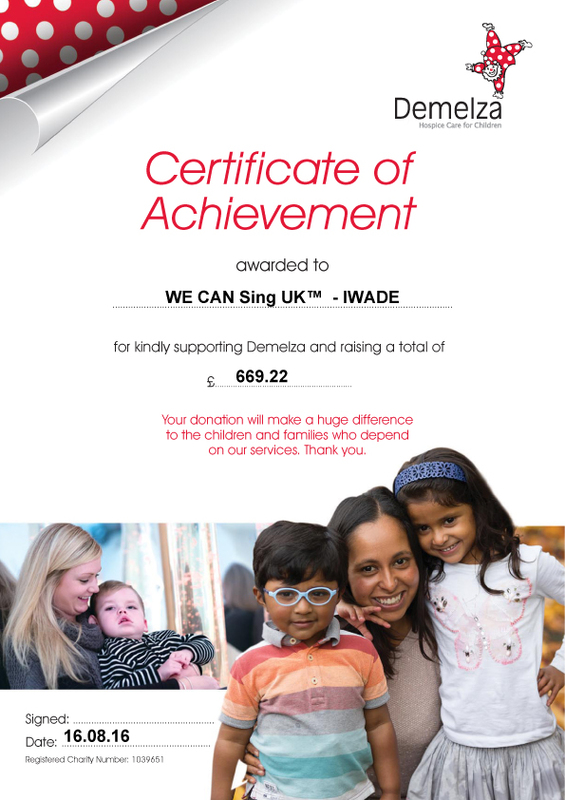 WE CAN Sing UK at JustOne 2018! 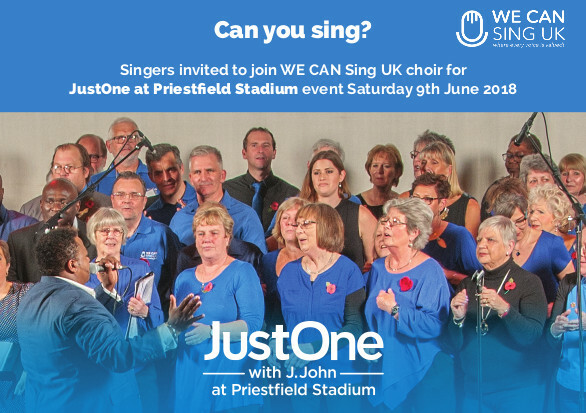 WE CAN Sing UK has been given the opportunity to perform at the JustOne event at Priestfield Stadium in front of over 11,000 people! 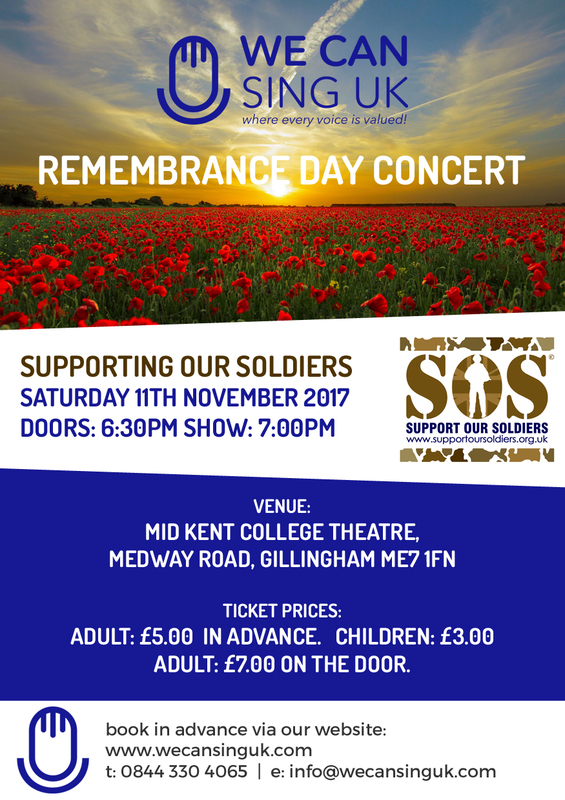 The Remembrance Day WE CAN Sing UK Concert! 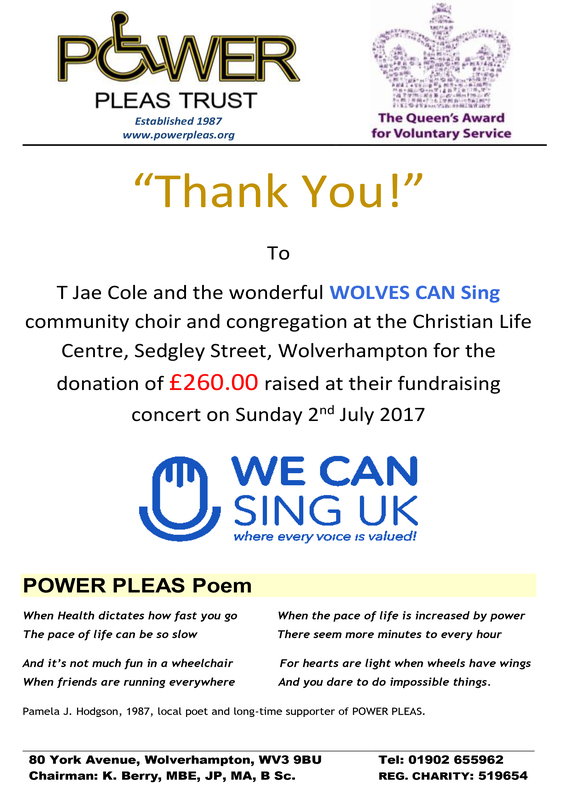 WOLVES CAN Sing had their debut concert on Sunday 2nd July 2017. It was an amazing afternoon of sharing and encouragement. Everyone left buzzing from the love and energy in the room. 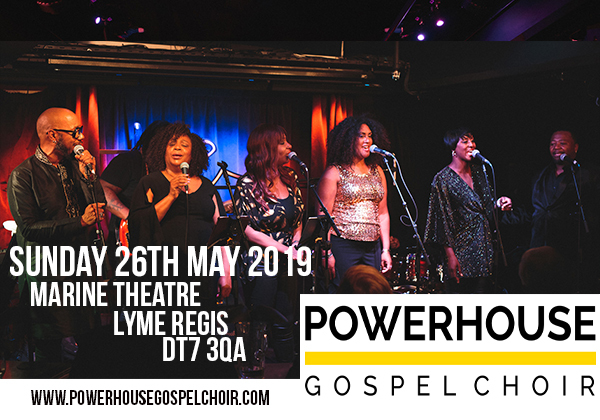 Together both choir members, friends and families came together and raised an amazing £260.00 to give to local charity POWERPLEAS. We look forward to next season where we hope it will be even more fun. It’s gonna be a powerhouse of vocals. 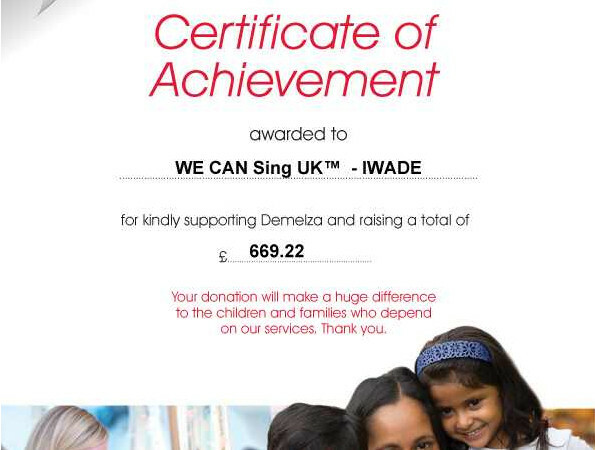 Congratulations to IWADE CAN Sing who raise a staggering £669 for the Demelza Hospice at their debut fund raising concert in July 2016. 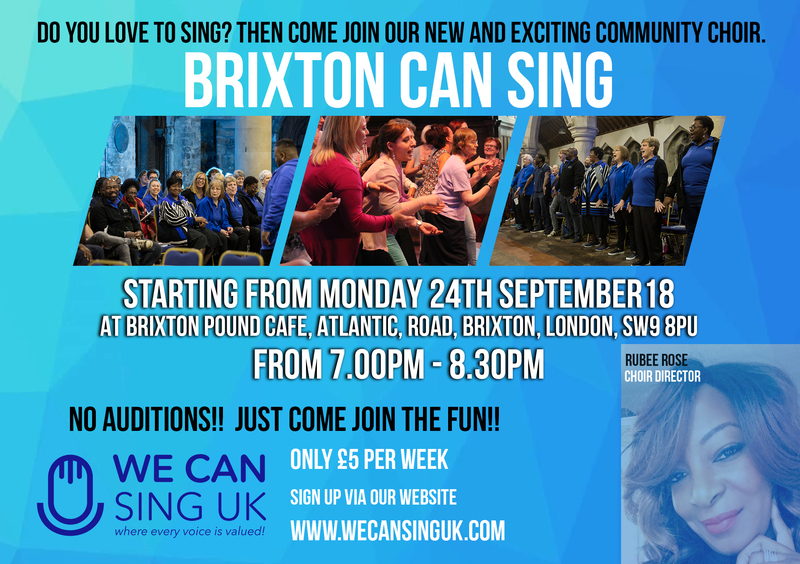 WE CAN Sing UK™ brings people together who want to discover their voice in a safe and stress-free environment. You will learn great songs, feel energised and have fun in the process.